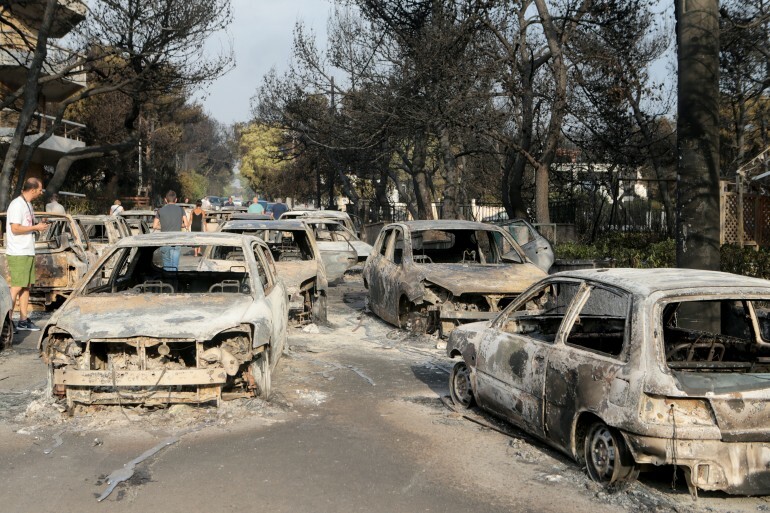 The Greek American Community shows its solidarity for the victims of the wild fires in Eastern Attica, with messages of sympathy and fundraising activities. The number of dead has risen to 74 and the number of injured to 164 adults and 23 children. The Greek Orthodox Archdiocese of America, in a statement issued on Tuesday, expressed its deep sorrow and agony for the disastrous fires in eastern Attica. The Archbishop has sent letters of condolence to the President of the Hellenic Republic Prokopis Pavlopoulos, Prime Minister of Greece Alexis Tsipras, Archbishop Ieronymos of Athens and All Greece, Metropolitan Nikolaos of Mesogaia and Lavreotiki, and Metropolitan Kyrillos of Kifissia, Amaroussion and Oropos. The United States are “full engaged in support” of Greece following the devastating fires in Attica, US Ambassador in Athens Geoffrey Pyatt said at a meeting with Defence Minister Panos Kammenos on Tuesday. According to a defence ministry announcement, Kammenos and Pyatt had a meeting at the ministry on Tuesday at the ambassador’s request, shortly after an emergency Defence Council on the devastating fires. They discussed bilateral defence cooperation matters and Pyatt extended the US government’s deepest condolences for the victims of the Attica disaster. The ambassador also indicated the willingness of the US to provide any assistance deemed necessary, the announcement said, noting that US unmanned aerial vehicles take part in fire-fighting operations. In a tweet after the meeting, Pyatt said he was briefed on a survey of the affected areas and the actions of Greece’s armed forces, noting that the US European Command was “fully engaged in support”. “Just finished at Hellenic Ministry of Defense, where I offered US condolences on the horrific losses from Attica fires. Minister @PanosKammenos briefed on his survey of affected areas and @Hellenic_MOD actions. @US_EUCOM fully engaged in support,” the ambassador’s tweet said. According to the latest official announcement by the fire brigade press spokesperson Stavroula Mallidi, the number of dead has risen to 74 and the number of injured to 164 adults and 23 children. The fires, which broke out at seaside resorts on the outskirts of the capital on Monday, continued to burn on Tuesday even as European Union member-states responded to a Greek request to boost its firefighting efforts. Some of the fires had been partially contained by Tuesday afternoon, including one that had struck the small town of Mati, east of Athens, where the charred remains of 26 people were found in a field, including relatives embracing. 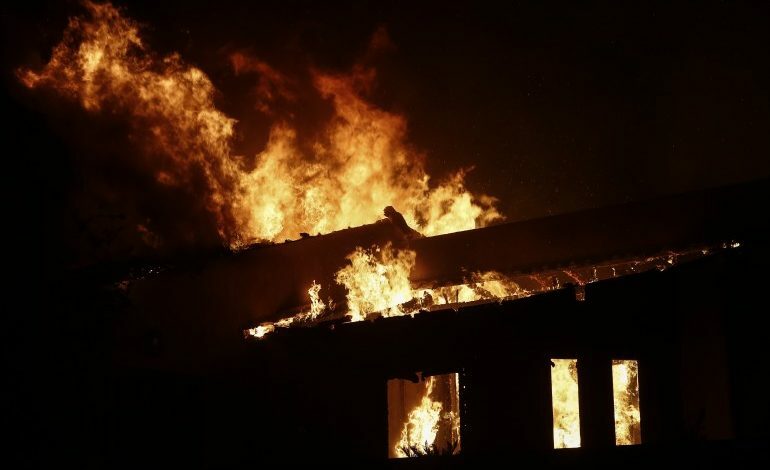 A total of 47 forest fires broke out between 6.00 am on Monday and 6.00 am on Tuesday, with the most important being that in Attica that has left at least 50 people dead so far. Of these fires, most were extinguished in their initial stages but the fires in Attica were devastating despite the immediate large-scale mobilisation of the fire brigade. With wind blasts in the area reaching speeds of up to 9 Beaufort combined with the rapid advance of the flames, especially in Attica, the fire front quickly encroached on densely populated urban areas, preventing people from leaving in time. Hundreds of firefighters continued efforts to curb a blaze in nearby Rafina and another in Kineta, west of Athens, where Monday’s blaze rekindled on Tuesday. There were also reports of a new smaller blaze in Aghioi Theodoroi. Meanwhile, four more fires were burning in other parts of the country, including one near the port of Corinth and another on Crete. Coast guard vessels patrolled the sea next to the seaside towns that were hit by the fires after rescuing more than 700 people who had fled to beaches or jumped in the sea to escape the spreading flames. Rescue workers set up mobile units in Mati, Rafina and Kineta on Tuesday to distribute food and other supplies to hundreds of people who lost their homes in the fires. According to the mayor of Rafina-Pikermi, Evangelos Bournous, more than 1,500 homes were destroyed in the fires. As for the damage to forestland, it is estimated to be in excess of 2,100 hectares. The tragedy reignited discussion about the widespread practice of illegal construction on forestland and along the coastline. Referring to an “unspeakable tragedy” in a televised address, Prime Minister Alexis Tsipras declared three days of national mourning. The response in the wake of the deaths appeared swift and efficient. Municipal authorities joined forces with nongovernmental organizations and volunteers to gather supplies for hundreds left homeless by the fires and the Hellenic Red Cross opened bank accounts for donations. Social media were also flooded with appeals for food, clothing and medicine for survivors while relatives of the missing posted requests for information. Health authorities appealed for donations of blood and blood components to help burn victims in hospitals across Attica and drew a strong response from citizens. – In Kineta, where the fire started on Monday afternoon on the Gerania Mountains. There are 150 firefighters operating in the area with 74 vehicles and 17 people on foot, while four volunteer vehicles, 20 water tankers and 6 bulldozers from the Attica Region, the municipalities of Megareon, Loutraki, Vari-Voula-Vouliagmeni are assisting. – In Kallitechnoupoli, where 190 firefighters are operating with 96 vehicles, assisted by 12 volunteer vehicles with 25 volunteers, 23 fire-fighters on foot, and three Canadair aircraft and two helicopters. – In Zenomenos, Corinth, where 100 firefighters with 45 vehicles, 20 fire-fighters on foot, one aircraft and one helicopter are operating. – In Metochi Vrysson, in Chania, Crete, where 60 firemen with 27 vehicles and two teams of foot are operating, while in the fire at Platiania, Chania, where there are 20 firefighters with 10 vehicles and one helicopter. – In Larymna, Fthiotida, where there are 20 firefighters with 10 vehicles, a team of foot and a helicopter. – Lastly, the fire that started at 2.30 on Tuesday morning in the area of Chlomos, also in the Municipality of Lokron, Fthiotida, where 18 firefighters with 9 vehicles are operating. The fires at the location of the Panorama of Ag. Apostoloi, Kalamos, Sousaki, Agioi Theodori, in Korinthia, Isthmia, in Loutraki, and in Lefkimmi of Soufli at Evros are subsiding. President Prokopis Pavlopoulos sent a message of unity on Tuesday and support for the families hurt by the fires in Attica. In a statement regarding the 44th anniversary of the Restoration of Democracy, Pavlopoulos said that with this year’s anniversary, all thoughts are on the tragedy of the fires that struck Attica. This tragedy shows us, at the same time, the road to our own debt, particularly within the broader framework of today’s conditions, for the future of our people and our country, said the Greek president. I am certain that we can overcome the obstacles that we face and in the end overcome them, he said, adding that this requires we have full awareness of the historical context, its needs and messages. “Nothing and nobody will be forgotten. Nothing and nobody will be left without help and the assistance of the state. But also, nothing will left unanswered,” Prime Minister Alexis Tsipras said in a national televised address to the Greek people on Tuesday, after the devastating fires that left at least 60 dead and hundreds injured. “There are no words to describe the feelings we are all feeling at these hours. The country is living through an unspeakable tragedy. “Dozens of human lives have been lost … and this is unbearable for everyone. More so for families who have lost their loved ones but also for those of us who are in positions of responsibility. For those who understand that there is nothing more valuable than human life. “Today Greece is mourning. And in the memory of those who were lost, we call three days of national mourning. “On the other hand, he continued, “we must not let grief overcome us because these hours are hours for effort, for unity, courage and above all solidarity. “Greece is going through a great ordeal. At such times, there are no differences. Their time will come and we will look – with respect, I hope, for the dead – at the hows and whys of what happened. “It is now the time to mobilise and struggle. To strive to save what can be saved, strive to defeat the fire, strive to find missing persons, to not mourn other lives and soothe the pain of those who have been afflicted. To our fire-fighters, they fought an incredible heroic fight. The rescuers of the EKAB ambulance service. To the men and women of the Armed Forces, the Coast Guard and the police that yesterday saved hundreds of human lives. Nothing and no one will be forgotten. Nothing and no one will be left without help, without state assistance. And nothing will be left unanswered. Prime Minister Alexis Tsipras spoke with Archbishop of Athens Ieronymos on Tuesday and informed him on the course of fire fighting efforts and initial measures being taken by the government, the premier’s office said. Tsipras thanked the archbishop for the church’s assistance in helping those hurt by the fires. 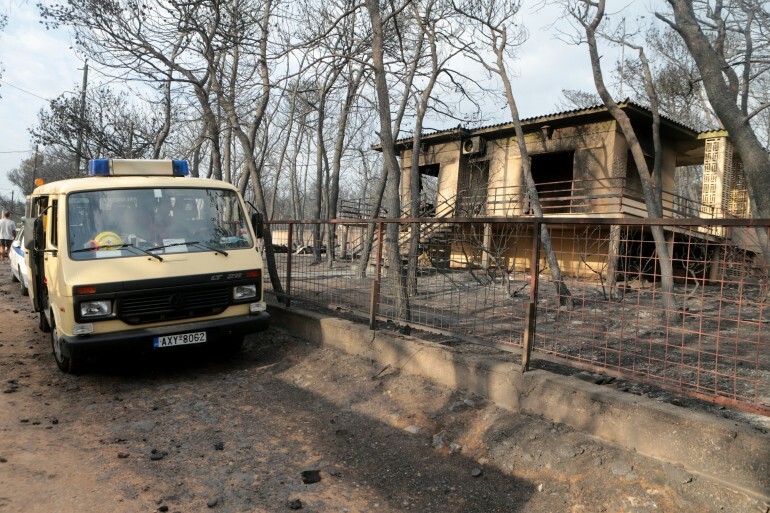 The Greek government unveiled on Tuesday a series of immediate measures to help fire victims. 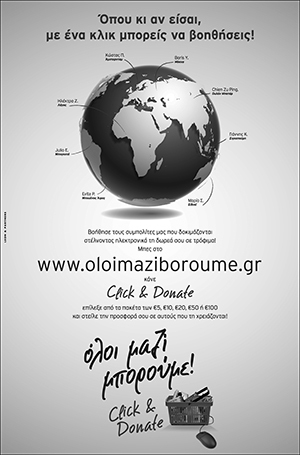 -A special account will be set up for donations for fire victims to be paid into by the state and the private sector. The money will be used to pay for damages. The state’s participation will be decided in coming days. -Patrol teams consisting of the police, firefighters and the army will be put together to stand over the areas. -ENFIA tax dropped for 2018 for those whose homes were damaged. Tzanakopoulos added that these dates may be further pushed back, if deemed necessary. He added that the main measures will be unveiled in coming days for the families of the victims and compensation for those that suffered damages.